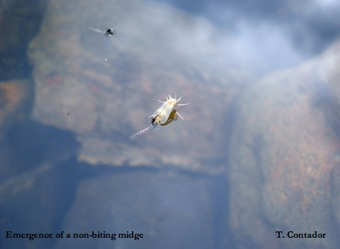 Throughout North America and Europe, the interest for the study of benthic macroinvertebrates has led to a better understanding of the taxonomy of this group and the ecological dynamics within freshwater ecosystems. These studies have included research such as population dynamics, competition studies, predator-prey interactions, and trophic dynamics. 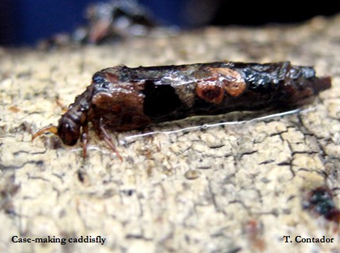 The information from these studies has led to improved ecological theories and the ability to use invertebrates in the determination of an ecosystem's overall health. 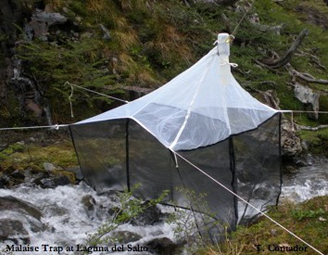 While a significant amount of the research on aquatic insects has taken place in the northern hemisphere, there has been a surprising lack of similar research in South America and the sub-Antarctic Magallanes region. Since 2002, Omora Park researchers have been studying the ecology of sub-Antarctic streams in the Cape Horn Biosphere Reserve. Much of this work has focused on the effects of invasive, exotic species, such as the beaver and trout. For this reason, the research lead by Dr. J. H. Kennedy, Dr. C.B. Anderson, and Ph.D. Candidate Tamara Contador primarily focuses on characterizing the aquatic insect fauna associated to the Róbalo River watershed, which provides drinking water to the people of Puerto Williams. Their studies focus on understanding the distribution, life cycles, habitat relationships, and bioenergetics associated to the Orders Ephemeroptera, Odonata, Plecoptera, Trichoptera, and Diptera (Chironomidae). In addition, the information obtained from these studies will be incorporated into conservation initiatives of the watershed through educational outreach and eco-tourism, using metaphors such as the Tourism with a Hand lens at the Omora Ethnobotanical Park. For more information on the Aquatic Ecology research at the University of North Texas (UNT), please visit http://aquaticecology.unt.edu/. The altitudinal zonation of benthic macroinvertebrates associated to the Róbalo River watershed. Part of the uniqueness of the Róbalo River watershed is the distinct ecosystems formed by the altitudinal zonation of the vegetation associated to the Dientes de Navarino Mountains. The research lead by Dr. Kennedy and Ph.D. Candidate Tamara Contador pretends to explore how the fauna of aquatic insects changes along the distinct altitudinal gradient observed throughout the watershed of the Róbalo River. The lower zones along the river include forests of evergreen Notophagus betuloides, deciduous Notophagus pumilio and Nothophagus antarctica. As the altitude increases, the vascular plants disappear and the non-vascular plants dominate the landscape. With this in mind, it is expected that the fauna of aquatic insects of the Róbalo River will change accordingly to the vegetation and the biodiversity of these organisms will increase as the river approaches its end at the Beagle Channel. Comparison of leaf-break down rates and carbon flow dynamics of the Róbalo River and Mejillones River. This study, lead by Dr. Anderson and M.Sc. Candidate Erika Ulloa (University of Magallanes) focuses on the dynamics of organic matter decomposition of two sub-antarctic Magallenic rivers: the Róbalo and Mejillones River.This study will help to understand the link between benthic macroinvertebrates and ecosystem processes such as trophic dynamics through the process of leaf decomposition.